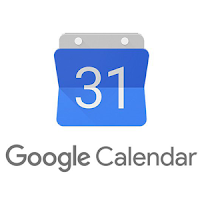 Google Calendar is instrumental in keeping me, and those who work with me, on track. To prepare for the new year I enter weekly lab, library, and coaching events. I also enter my club schedule (several 3-5 week sessions and 1 year long). For the weekly events I add the first and repeat the event until the last week of school -- easy-peasy. But club schedules are more varied, and often interrupted by early dismissal or no school days. That leaves too much room for error, especially for those of us who are number challenged. The simplest and quickest solution I have found involves a spreadsheet (doesn't it always?). Open your preferred spreadsheet software. Enter your preferred headers. Only Subject and Start Date are required. Add your event data. (For my clubs, I copy paste the dates from the my planning spreadsheet.) Keep in mind that how content formatting is very important -- when in doubt, set the cell formatting as "text" to ensure the software does not automatically reformat dates or times. Save the completed file as CSV (comma delimited). Click the down arrow next to Other calendars. Select Import calendar. Locate and choose the recently created CSV file. Click Import. If successful, your events should appear in Calendar. If you see an error message, visit this Calendar Help page for troubleshooting support. Looking for more? This Google Calendar help page has step by step instructions on how to create and import a csv file.